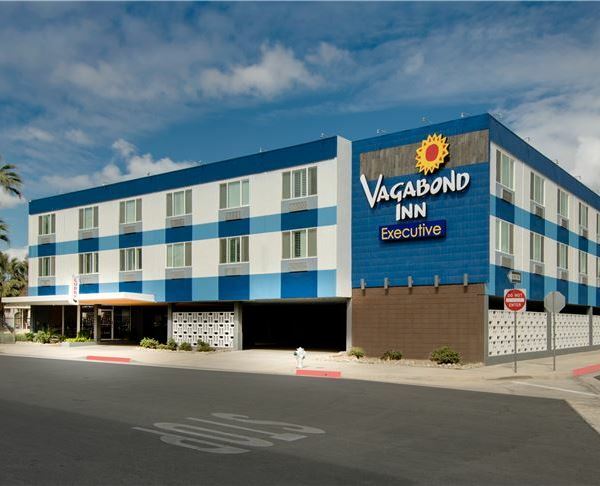 The Vagabond Inn Executive Downtown Bakersfield hotel is completely renovated, inside and out. 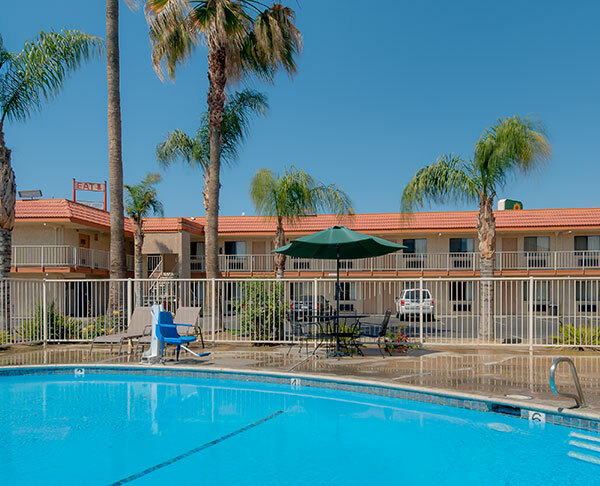 Unwind with an outdoor pool and courtyard patio, and enjoy a downtown location minutes from Rabobank Arena, the convention center and Amtrack. 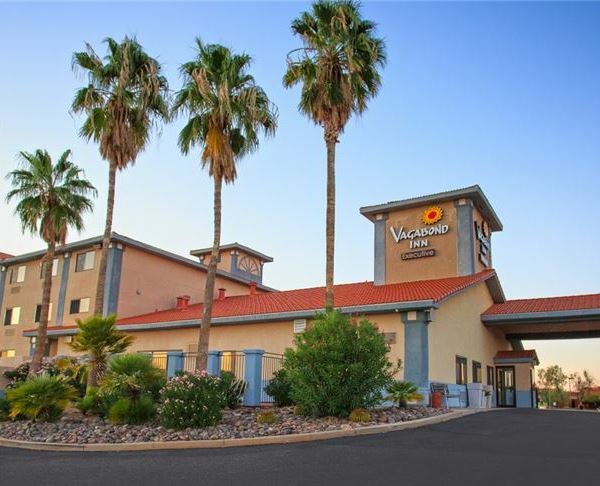 Conveniently located on I-19 just 18 minutes south of Tucson International Airport and 40 minutes north of the Mexican border, this hotel is close to the historic Hacienda De La Canoa, the Quail Creek Country Club, and Tumucacori National Historic Park. 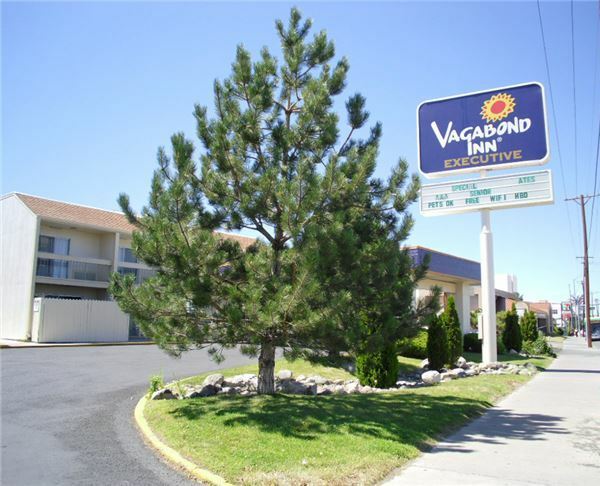 The Vagabond Inn Executive Hayward hotel is a completely renovated property with 69 rooms. 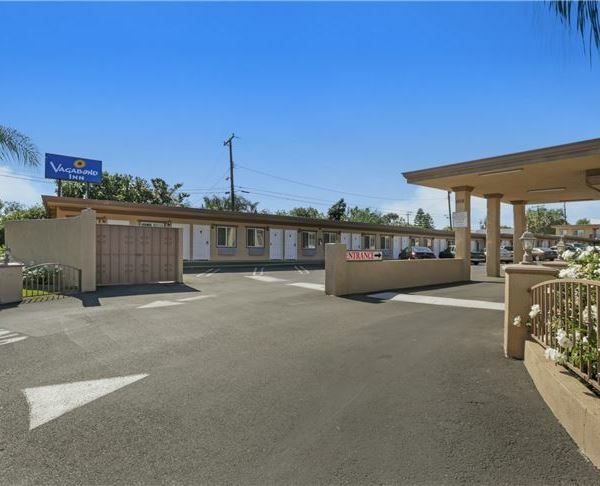 Located just off of I-880, the hotel is just a few miles from Oakland International Airport, Cal State University, Easy Bay, and shopping at the Southland Mall. 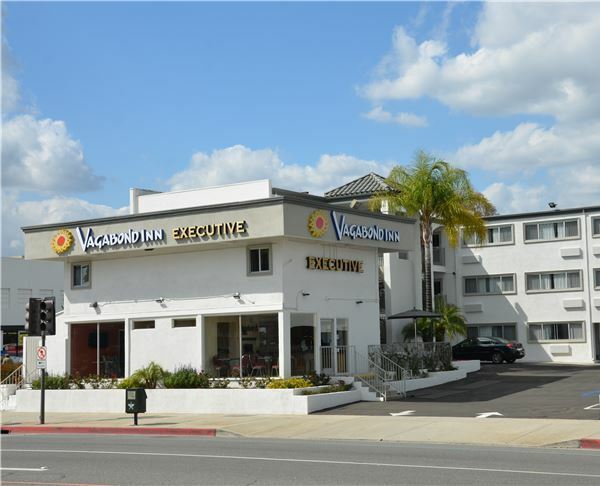 The Vagabond Inn Executive in Pasadena is central to all of Los Angeles and Southern California, including popular venues and sights like the Rose Bowl Stadium, California Institute of Technology (Cal Tech) and Old Town Pasadena, just blocks away. Explore the best of Sacramento, California. 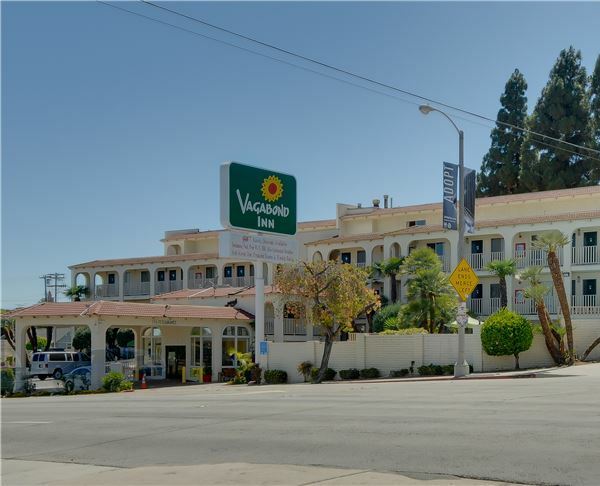 The Vagabond Inn Executive hotel in Sacramento (Old Town) is located off I-5 and a half block from Old Town. From the hotel, you can walk to the Capital, Crocker Art Museum and Downtown Plaza. 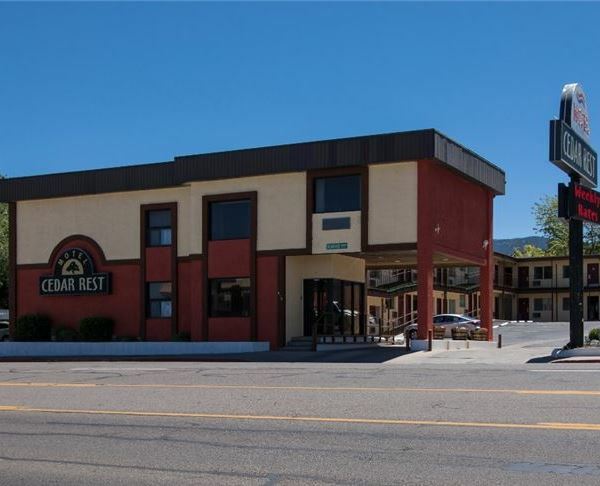 This charming bayfront hotel offers complimentary hot breakfast, free Wi-Fi, free parking, and an airport shuttle. 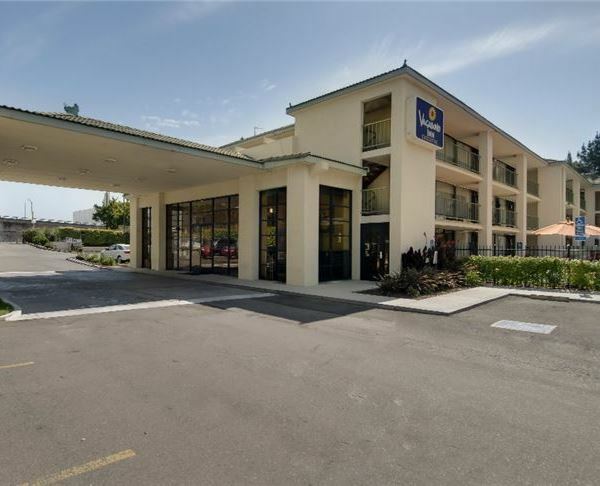 Located right outside of San Francisco, this inviting hotel is conveniently just 1.5 miles from San Francisco International Airport (SFO). 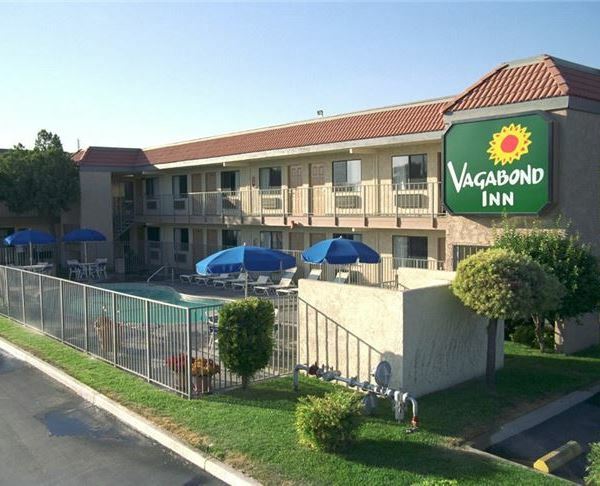 The Vagabond Inn Bakersfield (North) is conveniently located off Highway 99. Explore nearby restaurants and the Bakersfield Speedway and Fairgrounds. 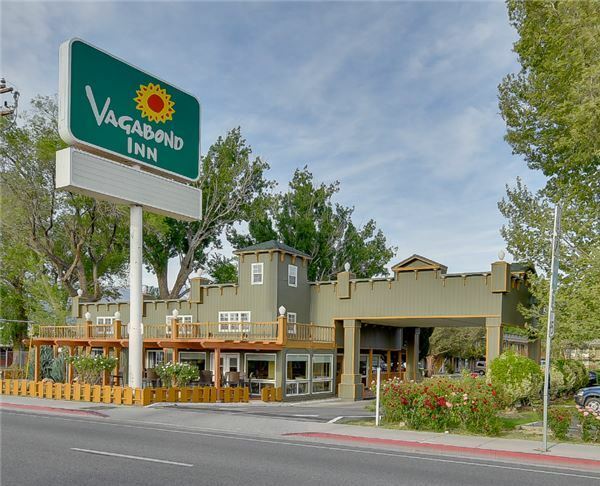 The Vagabond Inn Bakersfield (South) is easily accessible via Highway 99. Explore Valley Plaza Mall, with more than 150 shops, and Kern County Fairgrounds. Clean, comfortable and inviting, the Vagabond Inn Bishop is a great refuge for those seeking adventure in rustic California. Stay just a short distance from Mammoth Mountain and Rock Creek Canyon, close to skiing, horseback riding and hiking. 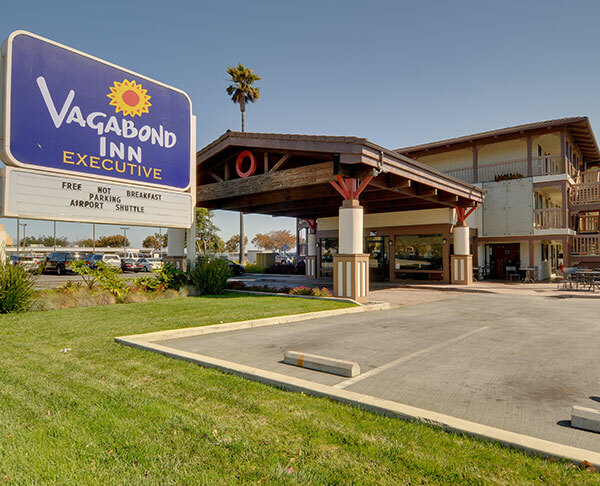 The Vagabond Inn Buttonwillow is conveniently located near the I-5 freeway and minutes from sights like the Buena Vista Aquatic Recreational Area, Buttonwillow Raceway Park, Sequoia National Park, Rabobank Arena Theater and the Convention Center. 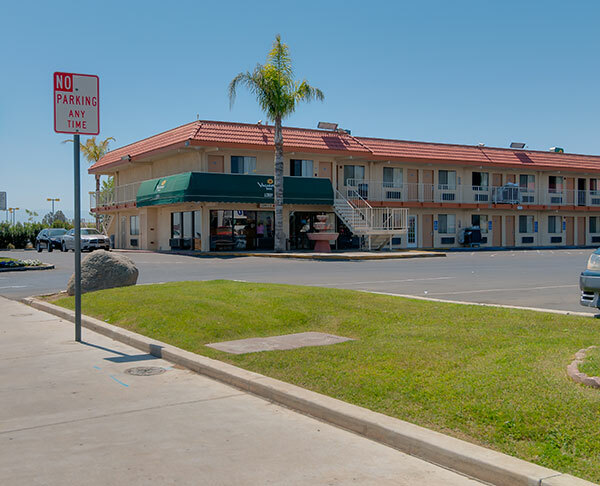 The Vagabond Inn Buttonwillow North is conveniently located right off of the CA I-5/West Side Freeway at SR 58, and just north of the Blue Star Memorial Highway. 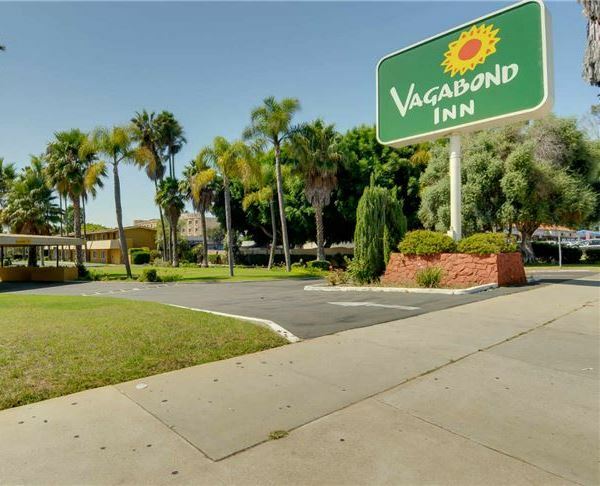 The southernmost Vagabond Inn property in the San Diego area, the Vagabond Inn Chula Vista is conveniently located on Broadway Street off of the I-5. Stay just 10 miles from the Mexico border, and explore everything the region has to offer with ease. 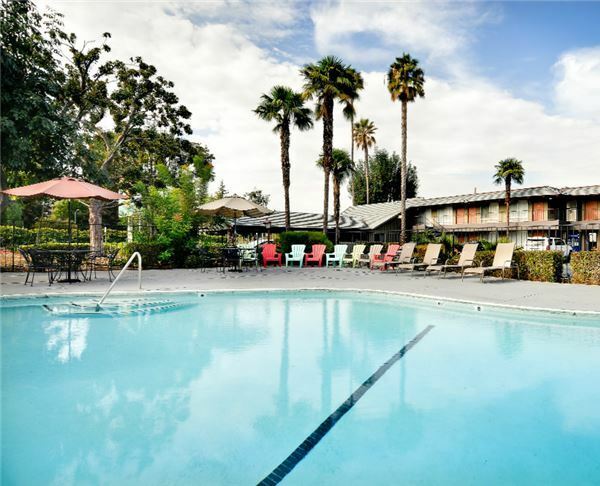 Just off the 405 Freeway in Orange County, CA, the Vagabond Inn Costa Mesa is the perfect budget-friendly refuge in the famed OC area. 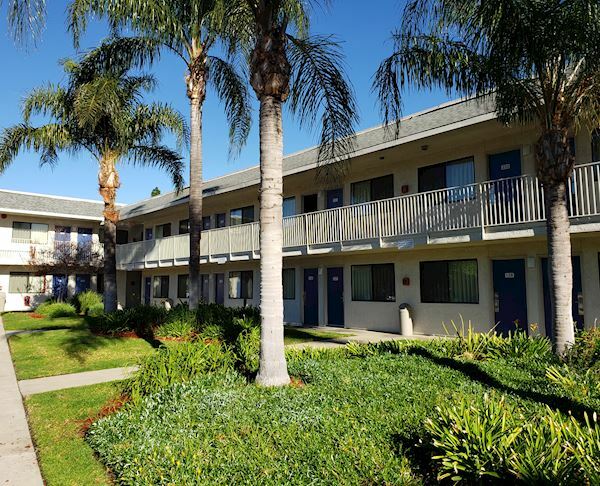 Enjoy ADA Accessiblity, pet-friendly rooms and visit nearby Disneyland, Knotts Berry Farm, or South Coast Plaza. 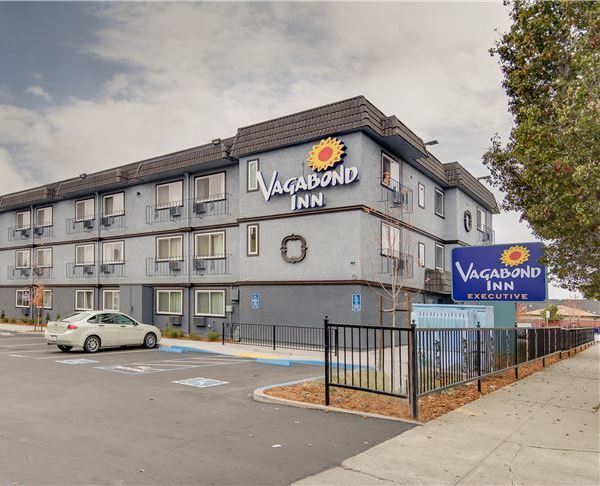 Perfectly positioned off the 99 Freeway at South East Avenue and Jensen, the Vagabond Inn Fresno is close to local restaurants, the Fresno Fairgrounds, Forrestiere Underground Gardens, the Fresno Zoo, Fresno State University, Yosemite, and Kings Canyon. 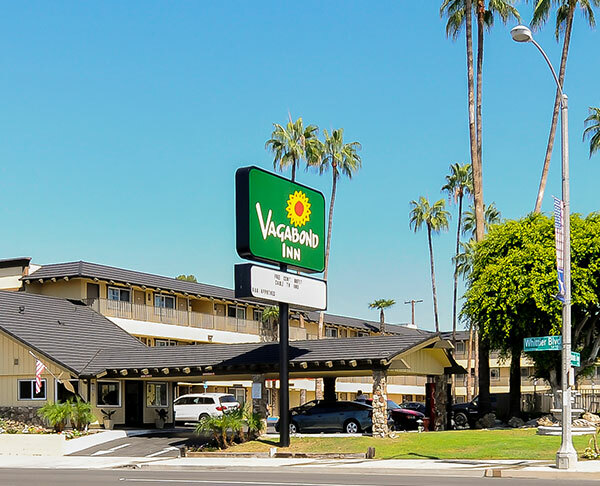 Always a top rated local area hotel on TripAdvisor, the Vagabond Inn Glendale is conveniently located right in the heart of the city, and just a short walk to the Americana at Brand and the nearby Glendale Galleria. Explore everything nearby on your visit. 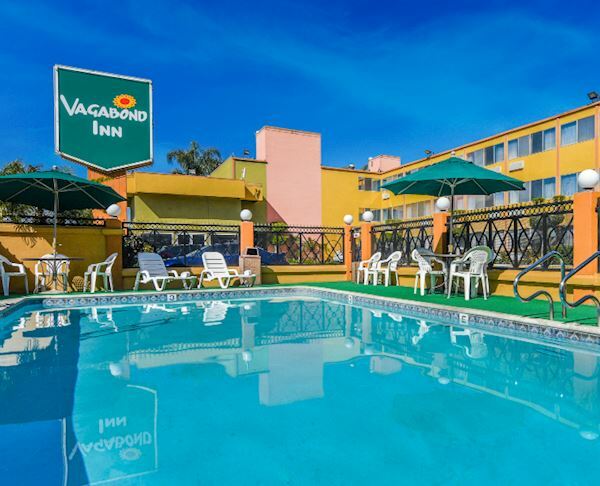 The Vagabond Inn Hacienda Heights is located just off the 60 Freeway and is close to some of the area's most popular family-friendly sights, including Disneyland, Knott's Berry Farm, Universal Studios and exciting Orange County sports arenas. 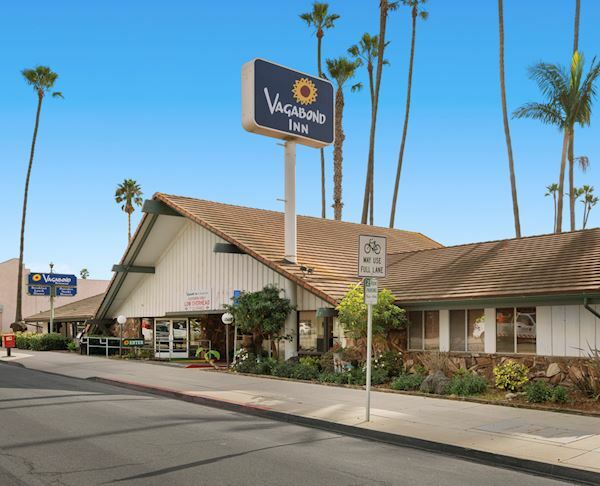 Poised just off Highway 74 in the San Jacinto Valley, the Vagabond Inn Hemet is close to Diamond Valley Lake Marina, local golf courses, and the Cabazon factory outlet shopping and casinos. Explore everything the area has to offer and stay in total comfort. 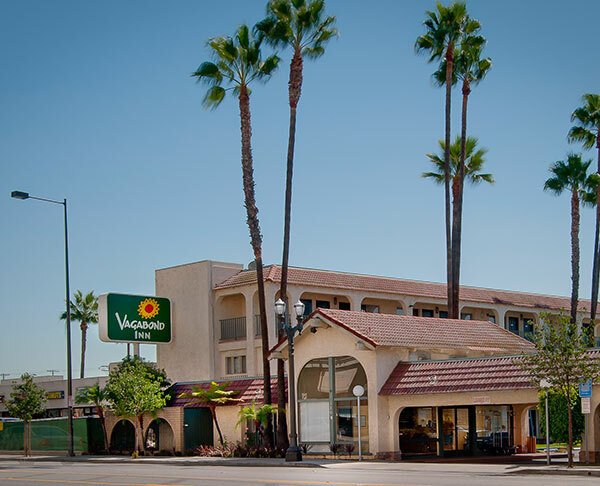 The Vagabond Inn La Habra is just 4 miles from Fullerton Amtrak Station and 7 miles from the city of Anaheim. Gorgeous sunsets and ocean views await you at this ideal vacation spot, close to the Long Beach Grand Prix, and just one block from the sand, surf and sun of the coast. Find out what's waiting in Long Beach and plan your perfect coastal getaway. LA is always alive with vital energy. Discover everything that's waiting at this centrally located hotel on Figueroa Street, near LA's best entertainment, including the Staples Center, and LA Live. For college sports fans, enjoy a short walk to the LA Coliseum. 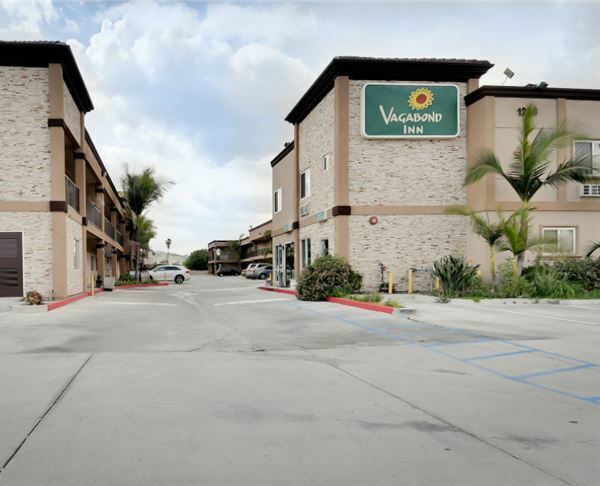 Revel in charm, comfort, and convenience, and stay in the heart of downtown Oxnard, just minutes from the convention center and shopping at the Oxnard Factory Outlets. Then, embark on a scenic day trip to explore local favorite, Channel Island Harbor. 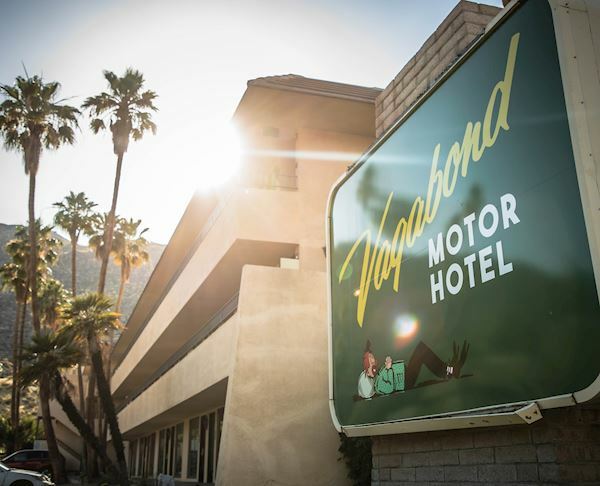 The Vagabond Inn Palm Springs is your ultimate desert oasis, located in the "Wind Free" south end of Palm Springs. Enjoy a round of golf or tennis match nearby, check out the local nightlife, or visit the gorgeous Botanical Garden just one block away. Envision your ideal stay at one of the very few hotels located on America's Cup Harbor. 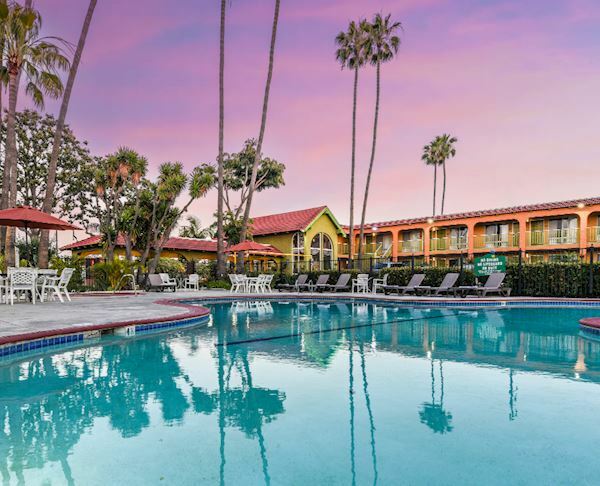 Conveniently located in Point Loma, guests here are just a short walk from the Point Loma Seafood Market and both the Fisherman's Landing and H&M Landing. 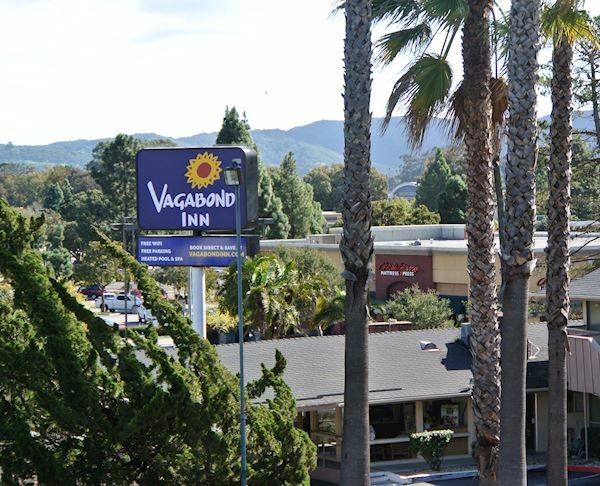 Take in the scenic beauty of California's Central Coast, and discover the Vagabond Inn San Luis Obispo. 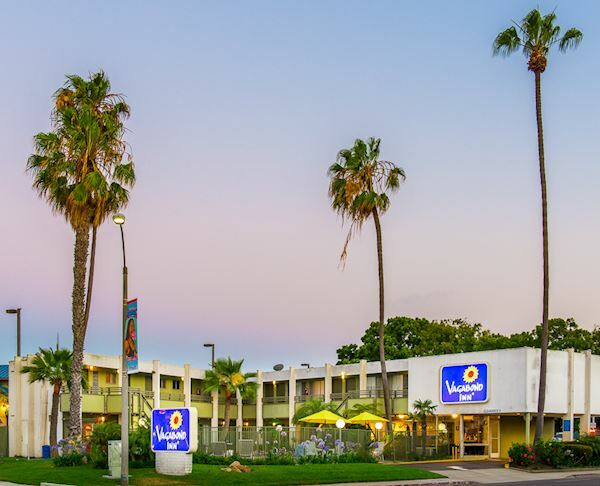 Located off the 101 Freeway, the hotel is within walking distance of the famed Madonna Inn, shopping and dining, and close to top wineries. Stay minutes from Ports O'Call Village with its live music, the San Pedro Harbor, cruise ships, flights and boats to Catalina. The Cabrillo Marine Aquarium, the World Cruise Center, Long Beach and the Convention Center are also located just minutes away. 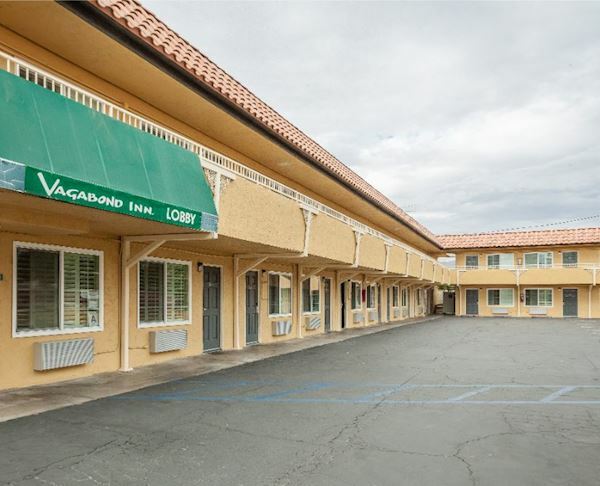 The Vagabond Inn Sunnyvale is located just minutes from the Lockheed Aircraft Plant and other large corporations in Silicon Valley. You'll find great shopping, California's Great America, the Winchester Mystery House, and Shoreline Amphitheater nearby. 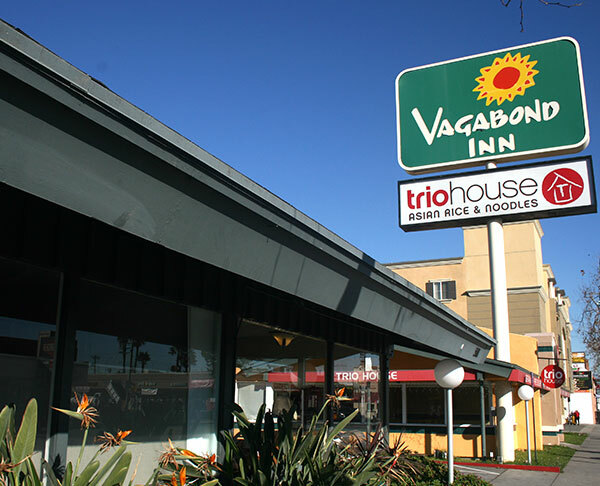 Welcome to the Vagabond Inn Sylmar, located in the San Fernando Valley region of Los Angeles, CA just off Interstate 5 near Six Flags Magic Mountain. 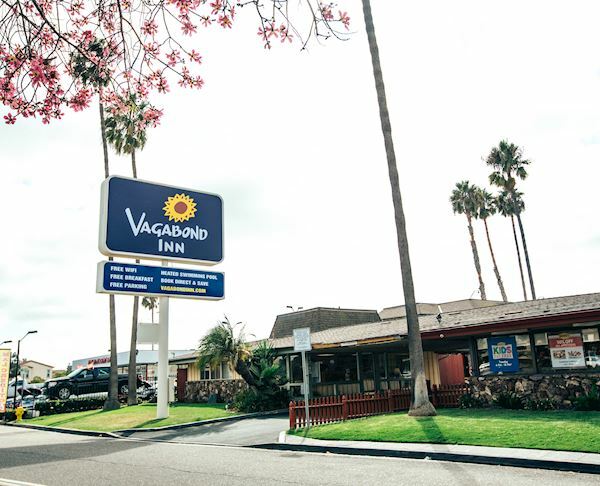 The Vagabond Inn Venture is located in the heart of downtown, just two blocks from Historic Old Town, filled with specialty shops, antique stores and the Ventura Mission. Stay close to the Ventura Harbor, Port Hueneme and Channel Islands National Park. Explore the endless list of Los Angeles and Orange County attractions, including Knott's Berry Farm, Disneyland, Universal Studios, Santa Anita Race Track and Los Angeles County's sports arenas. Comfort, affordability and inviting hospitality await.